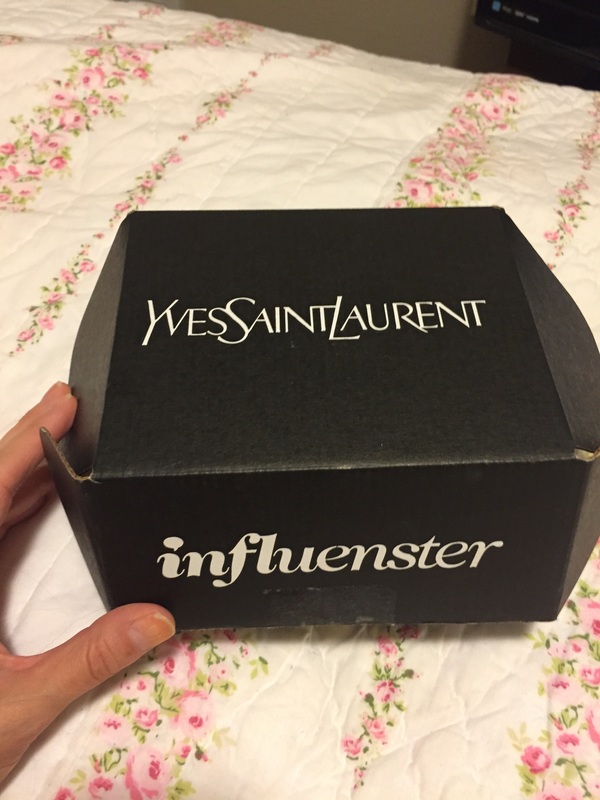 Can you imagine how overjoyed I was when I found out I was being sent the YSL Vox Box via Influenster? I literally peed and couldn’t sleep for a week. 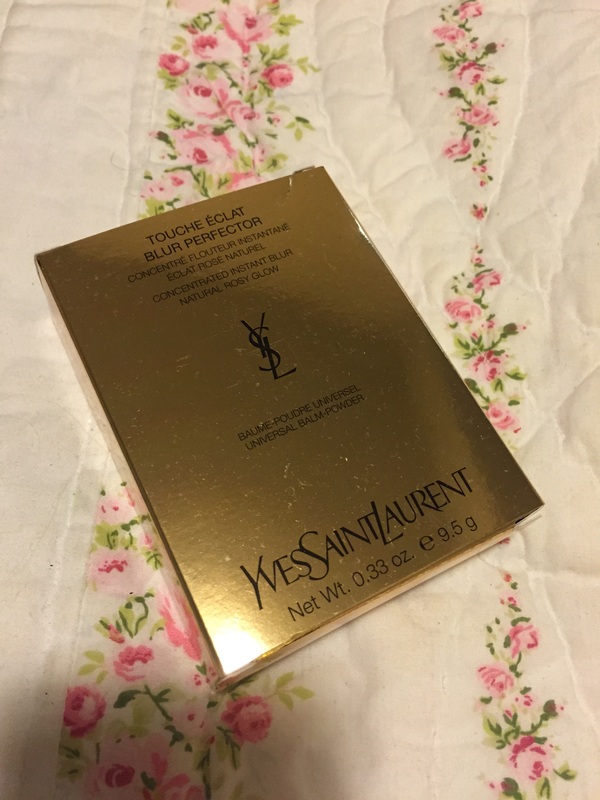 Then, a couple weeks later I received this little box of majesty containing the YSL Touche Éclat’ Blur Perfector and the Touche Éclat Blur Primer. I DIED. First, let’s discuss the Perfector. The packaging. OH LAWWwww the packaging. Perfect in everyway. Here’s to you, Yves! If you’ve ever felt the consistency of the Mally Face Defender, than you are familiar with this kindof product. The idea is that you can use this before OR after you’ve applied your makeup. And I have tried both methods. The box recommends using a sweeping motion (from the interior to the exterior of the face) when applying it before makeup, and then using a blotting motion for touch-ups. My thoughts on this product should first be prefaced by the fact that I have fairly decent skin. I do not have large pores, oily skin or any issues with my foundation breaking-up on me. That being said, I do like using this product as a touch-up OR as a primer, but I think I prefer to use it as a touch-up. When I need a quick face refresh I will ALWAYS reach for an oil-blotting sheet, a makeup mist or a product like this before I’ll ever reach for a powder. 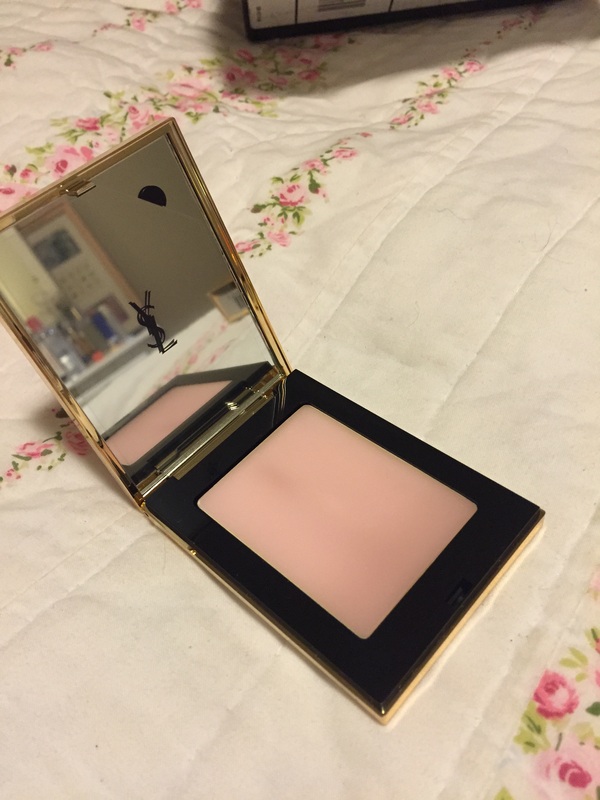 I find that I tend to look more cakey (read:OLD) with the more powdery products I apply (which is why I love the It Cosmetics Celebration Illumination Powder!). The product itself is kindof like a balm and has that silicony feel to it, which I do not hate. 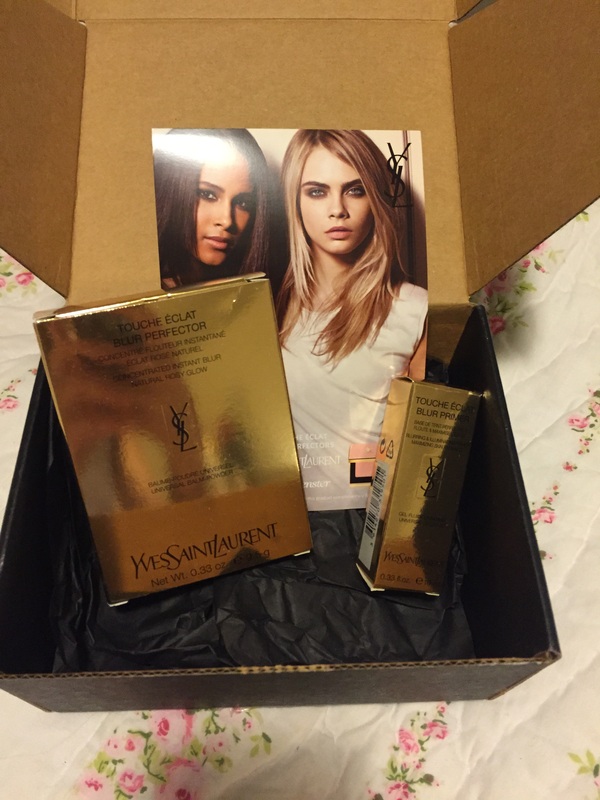 It does provide a nice, smooth, even base on which you can apply foundation. However, I really love using it as a touch-up product after work when I want my skin to look a bit more fresh. I find that the claims to “blur”imperfections aren’t totally false, as it does tend to smooth out the skin quite nicely. 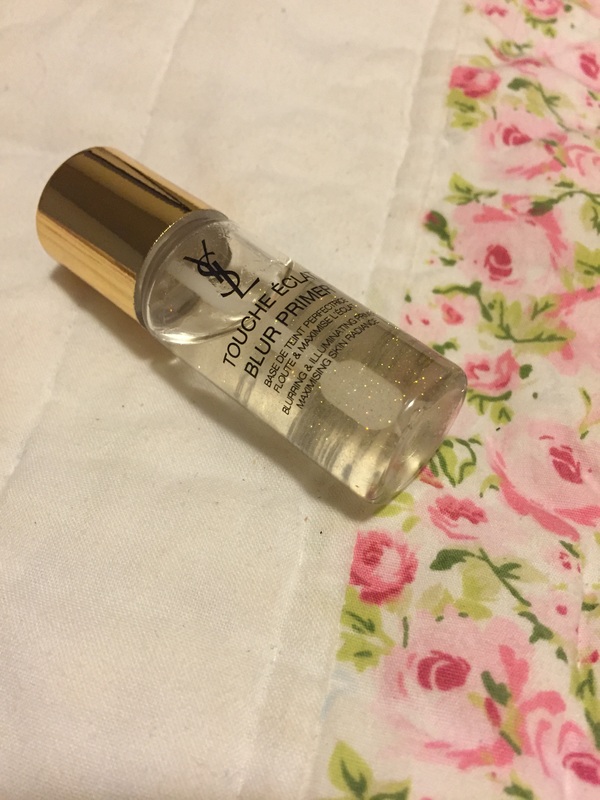 The second product I received is the primer and YES, it has tiny gold sparkles in it and crazy enough, they don’t transfer too much on the skin. At first I thought I was in for a glitter bomb, but they pretty much dissipate once you smooth it over your skin. Again, I am not the best at reviewing primers simply because I do not need one necessarily. However, if I want my makeup to last long and still look awesome, I will use one to ensure it is as locked-down as possible. 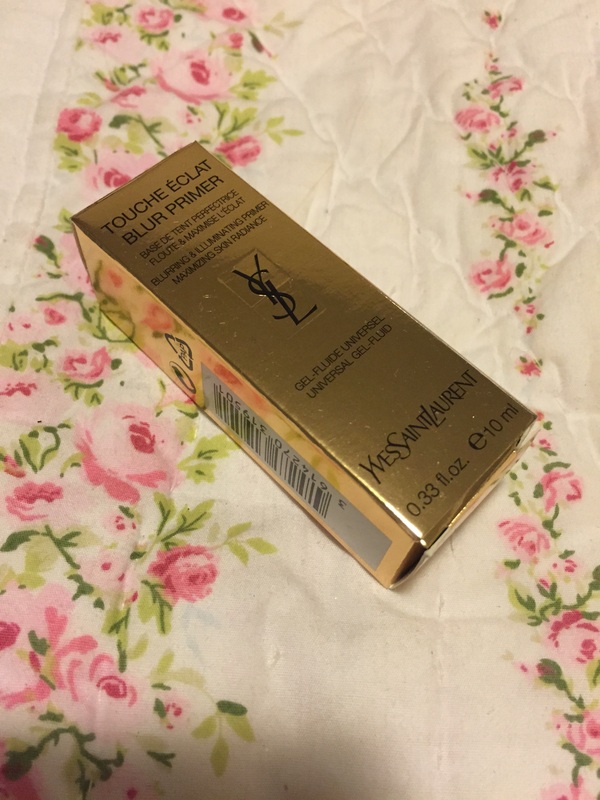 This primer definitely does the trick but I am not sure if it’s worth the price. Whereas the perfector is more of a niche product (with GORG packaging), this primer is something I would pass on. It works nicely as a base for foundation, but so do many other primers which cost much less. 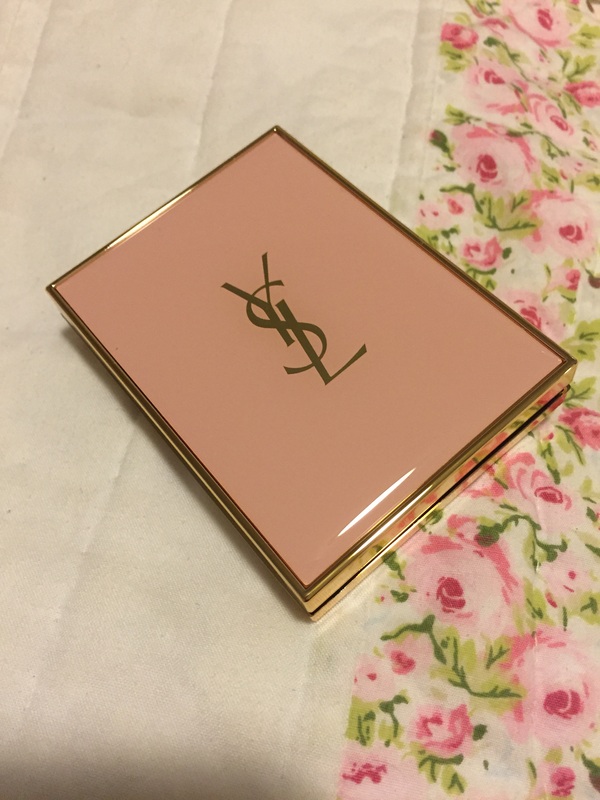 So there you have it – my review on the new goodies from YSL! Have you tried these products?